Tibetan nomad in Amdo, Tibet. (TibetanReview.net, Jan22, 2015) – Colluding with corrupt local and central leaders, Chinese miners have displaced Tibetan villagers without paying any compensation while their mines have disfigured the land and poisoned the air and river in Kangtsa (Chinese: Gangca) County of Tsojang Prefecture, Qinghai Province, reported Radio Free Asia (Washington) Jan 20. The nexus between officials and the miners has left the people of the affected village of Gongma without any recourse for seeking any remedy, the report added. Last year an elderly man named Ugyen Kyab appealed to Chinese central authorities to take action against the ongoing devastating mining work in the area. But instead of getting any help, the petitioner was taken away and detained by local authorities, the report added. 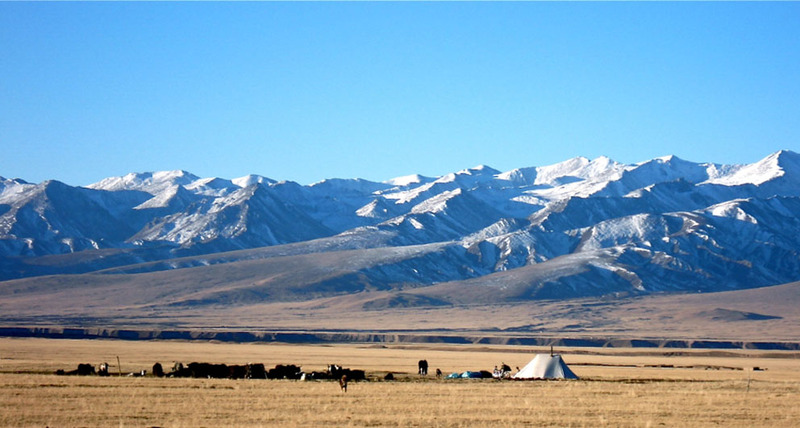 A promise of 100,000 yuan (US$ 16,090) made to the villagers for the use of their nomadic land was never paid, the reported cited a local source as saying. The area is said to be rich in deposits of iron, copper, and limestone. While this has meant riches for the miners and officials, the local Tibetans are being forced to live with the devastating costs to their health and livelihood. The land available for grazing nomads’ herds is drastically reduced, the mountains have been opened and stripped bare, the valleys filled with dust, and rivers and brooks contaminated, causing diseases to both humans and animals, the report cited local sources as saying. And the use of explosives has hindered local Tibetans’ seasonal harvesting of cordyceps—a parasitic fungus that is prized and sold for its purported medicinal properties. In official comments, China claims to give high consideration to protecting the environment and the local people’s interests when taking decision on mining projects, but very little of these seem to matter in actual practice, with greedy officials at various levels colluding with profiteering miners.